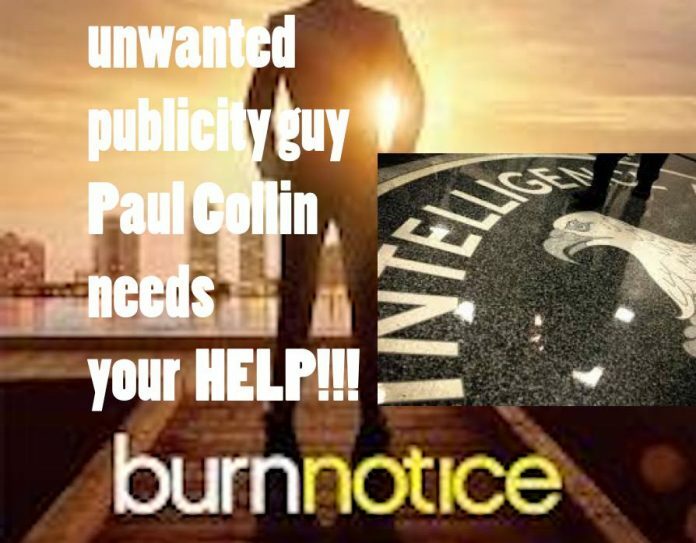 URGENT HELP NEEDED FOR Paul Collin aka Unwanted Publicity Guy who writes a Guest Blog here on Project Camelot. He is an excellent financial investigator who has been ‘burned’ by the CIA and has no means of support. Please read below and email him directly to assist if you are able…. He served his country and now they won’t help him. 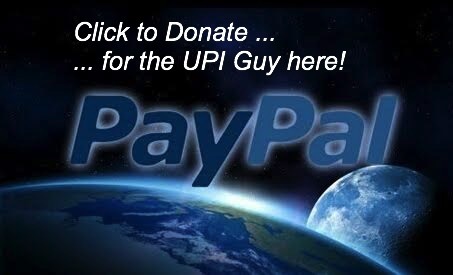 See his excellent blog articles… This man knows a great deal please help him continue to publish! Thank you for your help through Project Camelot. my mind but how the HECK am I going to survive now on the streets of Los Angeles, California. inside and work out-of that contains all my intelligence files from the past 17-years, IF I cannot pay my van ‘VEHICLE INSURANCE’ ( $300 )’VERY-VERY SOON’. Almost every Police and Sheriff vehicle out here in southernCalifornia utilze a ‘new high-technology’ system known as a “License Plate Reader / Scanner” to quickly identify ‘all UNINSURED motor vehicles’ that are either ‘parked’ or ‘driving’ on local parking lots, streets and highways. Vehicle insurance companies are ‘required by law’ to immediately notify the State of California Department Of Motor Vehicles ( DMV ) that their ‘customers vehicle insurance has expired’ and their customer’s ‘vehicle license plate number’ that is ‘automatically fed by their database into a State-wide law enforcement database network, which is ‘downloaded’ into all Police vehicles sent out on patrol. Whenever Police are patrolling all STREETS, HIGHWAYS, and now even ‘PARKING LOTS’ all the time these high-tech scanners are patrolling vehicles in violation of any laws too; even ‘expired vehicle insurance’ too – plus more. Although this technology began being used since 2007, it became ‘far more streamlined and sophisticated’ today. Most people do not even recognize what those ‘tiny little raised black circular bumps’ are on the roofs and trunk lids of ‘Police vehicles’, nor do they recognize what those ‘tiny little raised pointed spikes’ are on top of ‘Police motorcycle helmets’ either, and those are actually very high-tech ‘scanning sensor cameras’ looking at ‘vehicles’ having their ‘license plates scanned’ to quickly determine whether they are UNINSURED, plus more. Those older ( 2007 era ) License Plate Reader / Scanners ( LPR / LPS ) were ‘bulky devices’ and were ‘not mounted on almost every Police vehicle’ as they are today, since local law enforcement agencies began using ‘federal’ and ‘State’ grant monies to purchase more and more of these patrol systems. Plus, the ‘cost’ of LPR / LPS systems have become less expensive than 10-years ago when costs ran $25,000 ‘per patrol car’. TODAY, however the ‘vast majority of all Police vehicles AND Police motorcycles DO have ‘streamlined LPR / LPS’ on almost all their patrol units; ESPECIALLY in southern CALIFORNIA – and in-particular those throughout LOS ANGELES COUNTY where I see LOADS of these drive past me every day and night. That means if my van becomes UNINSURED it gets TOWED away by a Police dispatched tow truck and my van will be towed into a Police Impound Storage Yard. I need a ‘VALID DRIVER’S LICENSE’ to be presented in order to retrieve my vehicle out-of the Police Impound Storage Yard, only IF my van ( my only home for the past 10-years now ) gets towed and impounded by Police simply because ‘I do not having enough money just to pay my vehicle insurance’. Now, I do NOT have a VALID LICENSE, because I have been stuck out here in southern California with my Virginia drivers license that EXPIRED, and I cannot afford get a valid California drivers license ( $50 ) because I do not have any money to purchase special prescription eyewear ( $200 ). I do NOT have any money to pay exhorbitant POLICE INFLATED TOWING CHARGES ( $250 ) plus $200 PER DAY for POLICE IMPOUND YARD STORAGE fees either. In other words, if I do NOT have enough money to at least ‘pay my current INSURANCE quickly’, I will lose everything and die on the street. That IS my EMERGENCY. I now only have $17 left to my name to put gasoline in my NOW EMPTY gasoline tank. I have NOT EATEN for 7-DAYS because of ‘vital vehicle repairs’; to fix a burnt-out headlight switch ( I still have ‘no headlights! ) that eventually shorted-out and consequently burned my vehicle ‘relay and fuse boxes’ ( 2 ) too. I could not afford to pay any more money to fix ‘that problem’ after the ‘electrical diagnosis’ and ‘partial work’ to keep my van dashboard and computer from burning up took all my money saved for food, gasoline, medicine, and my automobile insurance payment for the month of August. I have NOT had my ‘much needed’ MEDICINE in over 1-WEEK. I have NOT EATEN in 1-WEEK. I do NOT qualify for ANY public assistance. The charities tell me their ‘food pantries have been run too low’ by an influx of newly arriving “POOR” from other southern border states so, there is ‘barely anything left’ for ‘homeless street people’ whom must rummage for food out-of waste bins, which I have been unsuccessful at doing because I have 2 handicapped legs that will not permit me to ‘jump up into a rubbish container’ so, I’m picking out trash food thrown away at fast food facilities. When I tried returning it, the church denied it came from them, and then defiantly banned me from ever going back. Local food banks require ‘local I.D.’, and all I have is my ‘expired’ Virginia driver’s license – after being stranded in southern California years ago. Together with all food banks are the churches who collectively now (in Los Angeles ) are linked to a ‘food recipient computer’ that provides information as-to ‘where’ and ‘when’ every single ‘person collects food’, and whether that ‘person’ has been ‘banned’ for any reason. This computer system in the Los Angeles area was to prevent ‘roving groups of people’ from ‘collecting too much food’ and then ‘selling it’. That computer system could not curtail those groups who obtained ‘illegal identification cards’ for undocumented aliens’ whom ‘get more food’ but in-return ‘must kick-back food’ to those persons running the gangs network of ‘thousands of people’, and ‘this’ is only one reason why ‘local food charity pantries’ are ‘continually being depleted’. There are yet ‘other reasons’ for ‘food pantry frauds and thefts’, all of which are totally ‘illegal’ but I shall not digress any further. I am going OUT OF MY MIND today ( FRIDAY ). I need HELP IMMEDIATELY and cannot RAISE $300 IMMEDIATELY to prevent me from LOSING my van that is all I have to protect myself and my 17-years of intelligence files. PLEASE, PLEASE, PLEASE HELP ME ASAP !